The Center for Pregnancy Concerns was founded in 1980 for the purpose of providing women facing an unplanned pregnancy with a place to explore their options in a non-threatening, comfortable environment. We offer a variety of services, all of which are entirely free. Our mission is to protect the physical, emotional and spiritual lives of women and their unborn children. 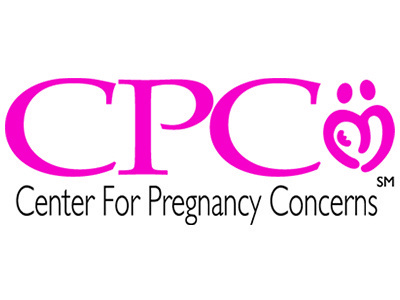 To learn more about the Center for Pregnancy Concerns, please visit their website. Opportunities exist for individuals to volunteer in a variety of capacities and commitment levels.